Look no further than On Point Home Inspections for a reliable, knowledgeable and detailed inspection. 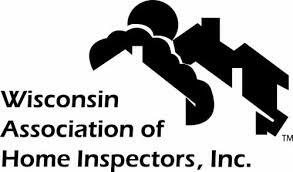 A professional home inspection helps you learn about the home you're buying, gives you confidence to address potential concerns, and delivers peace of mind about your new investment. I will thoroughly evaluate all aspects of the home that are visible and accessible in order to determine the safety of the structure and features, as well as the quality and integrity of the framework. I will go the extra mile when inspecting any home. Selling a home is stressful enough, and you don’t want to be surprised by anything a buyer’s inspector finds. Get the maximum value for your home and stay in control of any needed repairs by gaining knowledge about your home’s condition before you list. A Light Commercial Inspection is a comprehensive inspection of smaller sized commercial use properties such as storefronts, churches, offices, restaurants and various low-rise buildings. It includes a visual assessment of all accessible areas of the commercial property's interior and exterior. A “4-Point Inspection” focuses only on four main areas of interest in a home: HVAC, electrical wiring and panels, plumbing connections and fixtures and the roof. Contact me before your builder’s warranty expires. Building a house is an enormous and complex undertaking to manage, and details can sometimes be missed by even the best of builders. Make sure you catch any oversights with enough time for your builder to address them before your warranty expires. I'll come out during the 11th month and perform a full home inspection before your warranty expires. Even if you’re not selling your home, it’s a good idea to have your home inspected periodically so that you can stay ahead of any potential maintenance needs. This service will help you keep your home in good condition and prevent it from suffering serious, long-term and expensive damage from minor issues that should be addressed now.